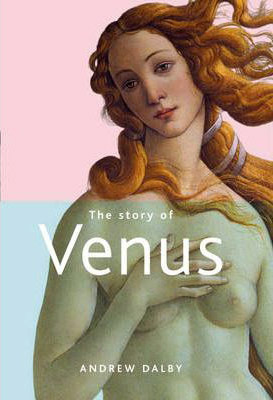 The fabulous story of the goddess Venus, also known by her Greek name Aphrodite, begins with her mysterious birth in the Aegean Sea. She emerges on the coast of Cyprus full-grown, shapely and desirable. With one hand she wrings her long, wavy hair, still wet from the waters of the sea, and with the other she pretends to conceal the secret places of her body. She stands on a scallopshell, perfect and beautiful. In fact, the ancient love goddess had many origins and many histories. The Minoans of Crete, the Sumerians of Mesopotamia, the Romans who adopted her from the Greeks – all told stories of the beautiful female in whose keeping were the hearts of mere mortal men and women. Her son Eros (Cupid), her many lovers, her blessings and her punishments have all taken root in our collective consciousness ever since. This entertaining biography brings the beautiful love goddess and her adventures to life as never before. 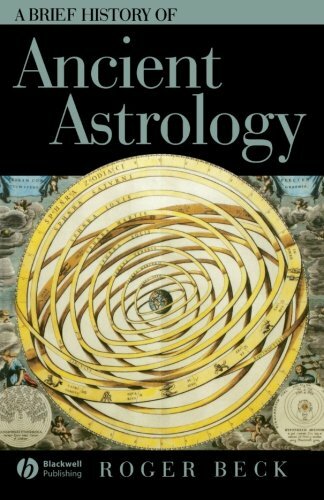 This first volume comprehensively charts Western astrology from 30,000 BCE up to the 17th century, with particular focus on its magical, political and apocalyptic movements and use in everyday life throughout history. 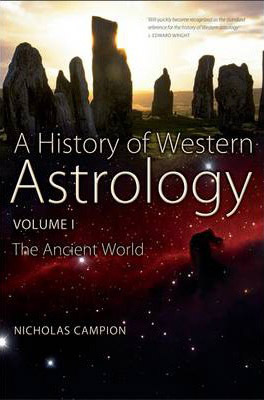 This is the first comprehensive examination of astrology’s origins and examines the foundations of a major feature of popular culture in the contemporary west, one which has its origins in the ancient world. Campion explores the relationship between astrology and religion, magic and science, and explores its use in politics and the arts in a fascinating and readable fashion. The book’s scope and depth is greater than any other comparable text. Beginning with theories of the origins of religion in sun-worship, it spans the period between the first Paleolithic lunar counters around 30,000BC and the end of the classical world and rise of Christianity. Campion challenges the idea that astrology was invented by the Greeks, and asks whether its origins lie in Near-Eastern religion, or whether it can be considered a decadent Eastern import to the west. He considers the evidence for reverence for the stars in Neolithic culture, Mesopotamian astral divination, Egyptian stellar religion, and examines attitudes to astrology and celestial prophecy in the Bible. He considers such artifacts as the mysterious, fifteen-thousand year-old “Venus of Lauselle”, the reasons for the orientation of the pyramids, the latest theories on Stonehenge as a sacred observatory, Greek theories of the ascent of the soul to the stars and the Roman emperor Nero’s use of astrology to persecute his rivals. Following on from “The History of Western Astrology Volume I”, Nicholas Campion examines the foundation of modern astrology in the medieval and Renaissance worlds. Medieval and Renaissance Europe marked the high water mark for astrology. It was a subject of high theological speculation, was used to advise kings and popes, and to arrange any activity from the beginning of battles to the most auspicious time to have one’s hair cut. Nicholas Campion examines the foundation of modern astrology in the medieval and Renaissance worlds. Spanning the period between the collapse of classical astrology in the fifth century and the rise of popular astrology on the web in the twentieth, Campion challenges the historical convention that astrology flourished only between the twelfth and seventeenth centuries. Concluding with a discussion of astrology’s popularity and appeal in the twenty-first century, Campion asks whether it should be seen as an integral part of modernity or as an element of the post-modern world. Explains the ancient understanding of the zodiac and its twelve signs, the seven planets, and the fixed circle of ‘places’ against which the signs and planets revolve. The Transit of Venus is a rare event. It will next be witnessed in the USA during 2012. The story of how it was first observed is a missing chapter in the history of astronomy. Most people might name Newton or Edmund Halley as the greatest British astronomer, but both men drew heavily on the work of a mid-seventeenth-century man from Lancashire, Jeremiah Horrocks. Horrocks was a man ahead of his time. In 1639 he was the first person to see the image of Venus on the face of the sun. He appreciated the true scale of the solar system, charted the positions of the planets more accurately than ever before, and formulated a valid theory for the wanderings of the moon. In the period before the English Civil War of 1642-49, he was considered the greatest astronomer in the kingdom. He died at a tragically early age, but his legacy to science is quite remarkable. 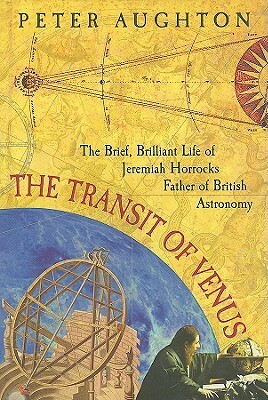 This book tells the story of how Horrocks came to predict and view the Transit of Venus in 1639 and emphasises the importance of his scientific legacy. Cosmographia was written by Peter Apian (or Petrus Apianus in the more common Latin version of his name), and was such a popular text that it eventually went through 45 separate editions. 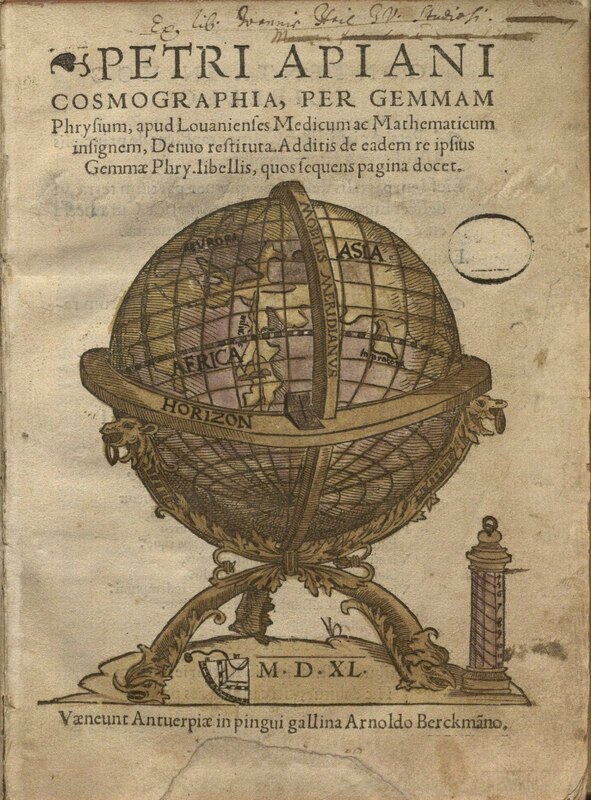 In Cosmographia, Apianus gave for lay readers an introduction to the discipline of cosmography, which blended concepts in astronomy, astrology, navigation, cartography, geography, and instrument design in order to plot the positions of astronomical and terrestrial masses (such as stars, planets, or continents). A few years after the first edition appeared, mathematician Gemma Frisius published an edited version of Cosmographia and added his own corrections and additions to Apianus’ original text. Special Collections’ new acquisition is Frisius’ version of 1540. Frisius added many illustrations to the text, as well as complex volvelles (stacks of paper discs strung together on a page and rotated to compute calculations in geographical, astronomical, or mathematical problems). In our 1540 version there are four complete working volvelles, which helped the reader determine calculations about distance, altitude, and even time of day. The volvelles are supplemented by many striking woodcuts. 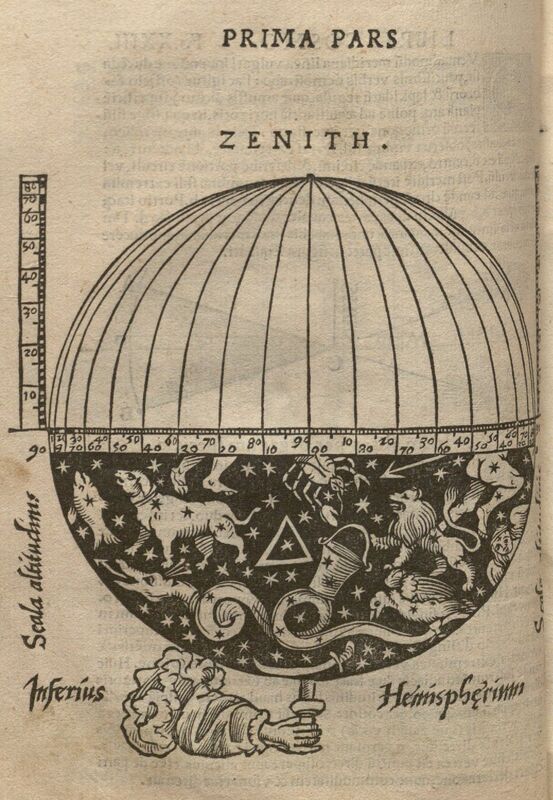 Apianus discussed many basic elements of cosmography in his work, illustrating them so that a beginners in the field could easily understand. Here, he plays with a visual analogy: geography is similar to drawing the whole head; chorography (or topography) is similiar to looking closely at the detail of an eye or ear. Apianus introduces several practical ways to measure distance, such as these illustrating how to measure by using one’s hands or by paces. Planets in Play is the first foundational book that lets the reader reimagine his or her inner life through the self-exploratory language of astrology. Author Laurence Hillman-a widely respected astrologer with a loyal following and a formidable online presence-reconnects the planets with the character traits given them by the ancients.Whether one accepts astrology as being “real,” its language and concepts can go a long way toward helping us see the archetypes that play on our lives. In observing the strengths, weaknesses, and character traits of each planet and zodiac sign, readers will receive a toolbox filled with instruments with which to newly understand their lives. The reader will then be able to make more conscious choices about how he or she is living out these different aspects. To that end, Hillman provides specific tactics and highly practical ideas of how to expressly nourish or minimize these tendencies through choice of behavior, lifestyle, and personal surroundings. Case examples, stories, and anecdotes run throughout the book to demonstrate and ease this process. In its appendices, Planets in Play provides a guide in how to get a quality astrological reading, with an emphasis on one’s dominant archetypes. In addition, Hillman offers a basic grounding in astrology for those readers, therapists, or counselors who wish to learn how the ancient art works at a psychological level without necessarily committing themselves to its study. From antiquity to the Enlightenment, astrology, magic, and alchemy were considered important tools to unravel the mysteries of nature and human destiny. As a result of the West’s exposure during the Middle Ages to the astrological beliefs of Arab philosophers and the mystical writings of late antiquity, these occult traditions became rich sources of inspiration for Western artists. In this volume from the popular Guide to Imagery series, the author presents a careful analysis of occult iconography in many of the great masterpieces of Western art, calling out key features in the illustrations for discussion and interpretation. Astrological symbols decorated medieval churches and illuminated manuscripts as well as fifteenth-century Italian town halls and palaces. 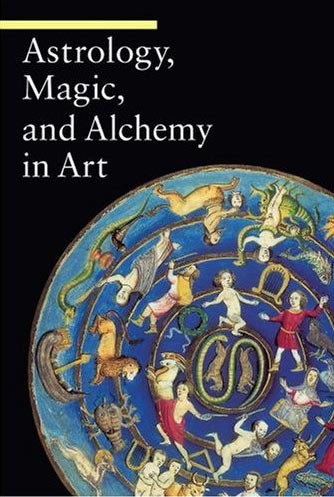 The transformational symbology of magic and alchemy that enlivened the work of a wide range of Renaissance artists, including Bosch, Brueghel, Dürer, and Caravaggio, found renewed expression in the visionary works of nineteenth-century artists, such as Fuseli and Blake, as well as in the creative output of the twentieth century’s Surrealists. Discovering astrology. 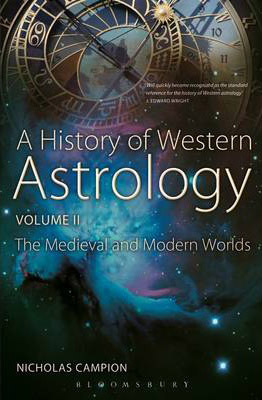 As an introduction to astrology, this book is unparalleled. Julia Parker teaches you in easy stages how to calculate a full and detailed birth chart, and explains how to “progress” it so that you can identify future trends in a person’s life. All the information you need interpret a horoscope in depth is provided in this one volume — descriptions of the twelve sun signs; explanations of techniques; guidance on chart interpretations for relationships, marriage, career, leisure, and health; the effects of planetary relationships within a birth chart; and an invaluable and easy-to-follow ephemeris to the year 2012. Enhancing Understanding. One of the major features of the book are the extracts from Julia’s casebooks, showing precisely how astrology can be used not only to deal with many of the milestones in human affairs, but also to have fun. In addition, this new edition boasts expanded sections on horary astrology and calculating midpoints, harmonics, and the moon’s nodes, allowing readers to evolve more thorough and subtle interpretations of personality and events. There are completely new sections on the influence of the recently discovered asteroid Chiron; the significance of eclipses, comets, and fixed stars; and the technique of location astrology (Astro Carto Graphy). Wonderfully readable, beautifully illustrated, and packed with information, this is an unbeatable reference guide to astrology.